Natural skin care enables the body to do what it naturally does to keep its skin healthy. That means the natural repairing and regenerating mechanism of the body that works in all its systems lets the skin takes care of its own self without the need of any chemicals and synthetic materials introduced into or placed on top of it. That points to one thing; skin condition is highly determined by how healthy the body is. Dermatologists know that the physical and emotional state of a person is reflected in the condition of his or her skin. The skin will always show the environmental circumstances through which it has been. From one particular state to another, its condition varies according to changes in the habits and practices that rule the life of the person whose body it is covering. Habits and practices that affect the body affect its dermal covering, and it is not surprising that those habits and practices that benefit the general health of the body produce clear and beautiful skin. Viewed through that perspective, it can be seen that it is actually logical and physiologically accurate to call the cultivation of health giving habits and practices as “natural skin care”. One of the most important skin care measure, which probably need to be mentioned first, is the drinking of the right amount of water every day. Seventy-five percent of the human body is made up of water, and it must maintain a precise level of hydration all the time. When body fluids fall below normal the cells that make up the tissues of the body shrivel like dried up leaves and it is the skin tissue that shows that condition almost immediately. Correct hydration does not only mean the water content of the body, like filling up a container. It also means balanced distribution of nutrients and efficient disposal of metabolic byproducts that can become toxic to body tissues if they are retained. Water is the carrier of nutrients that is needed in every part of the body and when there is less of it the body gives the priority of supply to organs that are primarily vital to its survival, like the brain, heart and lungs, and the skin gets less of the “water-borne” nutrition as water is “diverted” away from it to other parts of the body. Less water also means less efficient disposal of metabolic wastes. Normally, one of the means employed by the body to get rid of things it no longer needs or are harmful to it is perspiration. When there are not enough body fluids to produce perspiration, its outlets in the skin may practically become clogged up with metabolic wastes, retaining toxic materials that can cause skin cells to age and die faster than their ability to regenerate. Drinking 6 to 8 glasses of water every day can help the body maintain a correct hydration level, which can support balanced distribution of nutrients and efficient disposal of metabolic wastes and toxic materials. A nutritionally well-balanced diet and good eating habits should be an obvious part of every skin care measure. Unprocessed foods, like fresh fruits and vegetables, are better than those that are loaded with sugar, salt and preservatives and have been stripped of their health giving vitamins and minerals through processing. Whole grain products are healthier to eat than the factory refined. It pays to know what types of foods can produce in you allergic reactions, and for that matter, it is wise to discover why your body could be making such reactions. A well-balanced routine of regular physical activity and sleep is important to natural skin care. Regular exercise not only tones the muscles but also boost the flow of blood circulation, ensuring the balanced distribution of nutrients and efficient disposal of metabolic wastes and toxic materials that should not be allowed to accumulate, particularly in skin tissues. Sleeping time is the time for the body to catch up with cell regeneration and tissue repairs that cannot be optimized during the awake-period when it also has to deal with the facilitation, processing and effects of normal life activities. Sleep-debt shows in the skin because skin cells degenerate faster than the cells of other tissues in the body, and when the time to optimize cell regeneration is shortened, as when normal sleeping time is drastically reduced, more of the skin cells can die before new ones can replace them. In many cases the skin can actually appear dried up and scaly after prolonged sleep deprivation. Physical exercise helps keep the skin well nourished and free from toxic materials while sleep enables it to keep up with the constant need of cell regeneration. A good balance between the two can already almost ensure the appearance of a clear skin that glows with health. Simply keeping then skin clean is one important way to care for it naturally. Taking a daily shower, wearing clean clothes and sleeping on clean beddings can protect the skin from microbes and insects that can be sources of infection that can damage the skin. Many skin disorders, like pimples and boils, are caused by micro-organisms that have been allowed to stay on the skin unwashed and have found their way through skin pores or cuts in the epidermis and have infected the sensitive layer underneath. The role of stress is one factor that needs to be pointed out when skin care is talked about. Stress affects all organs and every part of the body. It disrupts normal body functions and causes the systems of the body to operate in ways that has degenerative effects. It can induce allergic reactions, inflammations and faster cell degeneration. On the skin, it can cause acne, pimples and boils to appear. Psoriasis, which is an extremely rapid degeneration of skin cells, often affects people who are stressed. Being able to cope with stressful situations is important to skin care. Exercise, adequate sleep, balance diet and enough daily water consumption help much in enabling a person to cope with stress. Many boost their stress-coping capacity by taking vitamin supplements, taking a bubble bath, listening to music and by doing activities that discipline the mind and the body like yoga exercises. Outdoor activities can be very healthy, but prolonged exposure to the sun is really damaging to the skin. The number of cases of skin cancer is currently on the rise. It appears to have direct relationship with the growing attraction of people to activities and vacation plans that put them under the direct rays of the sun. The sun easily burns the skin and the blisters may take a long time to heal. The body also gets easily dehydrated in sun-drenched places. Many times, amidst all the fun of the outdoors, this fact becomes neglected. It may be realized, if at all, only later after the skin wrinkles have become evident. To enjoy the sun without the resulting damage to the skin it is wise to use a hat, an umbrella or a long sleeved white shirt, when long exposure to the sun is anticipated. 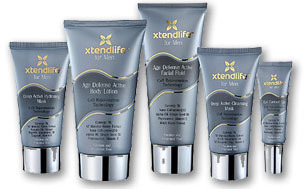 If you cherish your skin and wish to put off the visible signs of aging … as well as nourishing your skin with the most effective, natural and safe skin products possible … Xtend-Life women’s skincare range is for you! These products work by targeting the 3 main causes of aging skin: oxidation through the action of free radicals, loss of collagen and elastin, and lower levels of hyaluronic acid. Most skincare products tackle only one, or at the most two of these three key reasons for aging skin. But Xtend-Life products targeted all three … using the most powerful natural ingredients known to science. All these ingredients work together in synergy, so their combined anti-aging effect is much greater than the sum of their individual benefits. Some key ingredients used in their products include Cynergy TK™, Nano-Lipobelle H EQ10, Phytessence Wakame, Natural vitamin E (Alpha-tocopherol), Maracuja, Babassu, Grapeseed Oil, Crodamol OP, D-Panthenol (vitamin B5), Witch hazel, Crodamol OP, Shea Butter, Active Manuka Honey, Nutgrass Root, and more. Cynergy TK™ is the closest thing to a miracle ingredient in reversing the aging process of the skin. Cynergy TK™ contains Functional Keratin™, a natural substance extracted from the wool of New Zealand sheep. Functional Keratin™ is very similar to the basic protein found in human skin. This means it is powerfully effective in rejuvenating the skin. It means Cynergy TK is almost like applying a ‘liquid skin’ to your face and body. Cynergy TK actually stimulates your own collagen to grow again. Coenzyme Q10 is a vitamin-like substance, which is present in every cell of our bodies, predominantly in the mitochondria. Nano-Lipobelle H-EQ10 is a special ‘nano-emulsion’ form of CoQ10, which penetrates deeply into your skin. When applied to your skin, Nano-Lipobelle H-EQ10 can produce quite a dramatic anti-wrinkle effect, which has been confirmed by scientific studies. This is due to its ability to increase collagen and elastin production in the skin. Phytessence Wakame is a powerful antioxidant derived from Japanese sea algae. Wakame is rich in sodium, iron, potassium and calcium (15 times more calcium than milk). These minerals are essential to maintain the skin’s moisture balance, and keep it looking firm and healthy. Phytessence Wakame also inhibits the activity of hyaluronidase, an enzyme that breaks down hyaluronic acid in the skin. Hyaluronic acid, together with elastin and collagen, is essential to maintain the elasticity, smoothness and tone of the skin. Preventing the skin from aging is no longer just for women! The Xtend-Life range of men’s skin care products contains a large number of active ingredients, at much higher concentrations than in most rival products. Xtend-Life skincare products contain high-quality, 100% natural moisturizing oils, reparative proteins, antioxidants, vegetable-based waxes and silicones, vitamins, coenzyme CoQ10 and carefully selected plant extracts. In addition to the ingredients are in the women’s formulations, there are some special extra ones that are added just for men’s skin care. The age-defense active facial fluid is designed to soothe your skin and reduce redness and/or inflammation, reduce roughness caused through the environment, help reduce ‘age’ spots and skin damage, and help repair damage through general neglect. The eye contour gel contains 10 specially-selected ingredients, proven in clinical studies to work almost like magic to “de-age” the appearance of your eyes. By using the latest and best ingredients and technology that science can offer, it may remove wrinkles, dark circles and bags from around your eyes. The age-defense active body lotion will penetrate deeply into your skin, to nourish it with natural goodness. In addition to making you look younger on the outside it will also work daily to rejuvenate the health of your skin which pays major dividends in the long term. Xtend-Life men’s deep active hydrating mask is specially-formulated for skin that is rough, irritated or exposed to harsh weather, this unique hydrating mask is designed to complement our face creams and to give the skin on your face a periodic hydrating boost. The mask is a unique blend of rich plant oils, plant- and vitamin-based antioxidants, and essential fatty acids and lipids. The Deep active cleansing mask is specially formulated for all skin types and ideally should be used twice a month. An important ingredient in this product is Kaolin, (an extract from a special New Zealand clay found on the foothills of the Southern Alps) which absorbs oil and gently pulls out grime from your skin. Last updated on Feb 12th, 2009 and filed under Featured, Skin Care. Both comments and pings are currently closed. I agree with you, with drinking enough water everyday it can make our skin lighter. 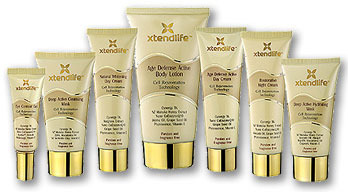 And with a good product such as xtend-life skincare it will make our skin even more better. thank you for this information. Xtend-Life has a good reputation in natural products. I’m not an expert and don’t know if their formula is sophisticated or not, but I’ve heard they have strict quality control on the ingredients procurement and production process. For years, I have tried so many natural and organic products only to be disappointed in limited selection and overall effectiveness. I’ve heard good things about other brands but since I’ve tried face naturals products, I don’t have any desire to try another brand. Their products are so amazing and they offer target skin solutions based on your skin type. face naturals is the best all natural organic skin care line I’ve ever tried!